SHINee's coming back. The boy group will hold its exclusive concert in Seoul from May 15-17 and release its 4th full album 'Odd' on May 18. It is expected the talented group will show outstanding performance again. By the way, some of the SHINee fans may be worried if Onew's throat is OK. He has complained of pain in the throat since February 2014 and had a vocal fold nodules removal surgery in June 2014. Well, fortunately, he said he's ok.
Q. It has been months since you had the surgery. Are you ok? 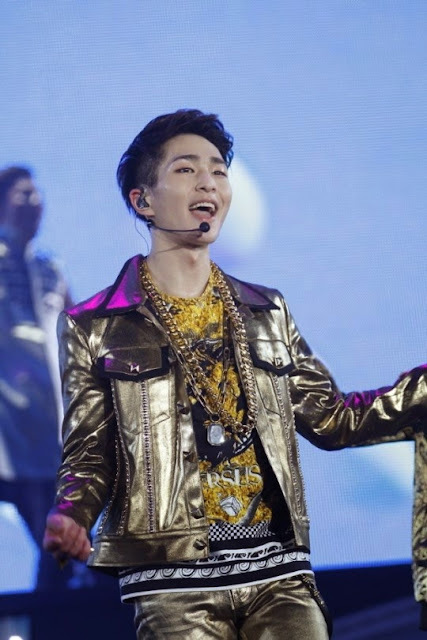 Onew: Yeah, I feel much better. I thank many people for their concerns. As I have to show great performance in Korea, I will try harder. Q. Weren't you surprised when you heard that you had to have a surgery? Onew: I had no choice. I just accepted it. As the surgeon cut off a part of my vocal cords, I couldn't even make a sound after the surgery. I stayed in bed for about 3 months and a half. Q. How did you take care of you throat? Onew: As I was unable to talk, I stayed at home all the time. I ate, slept, watched TV, and slept again. I heard that good sleep is the best cure and I had a winter sleep. I never got bored because I slept. These days, I drink lots of water everyday and try not to be talkative.